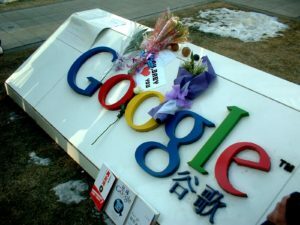 Google formally announced plans to leave China yesterday after their threat to stop censoring search result on Google.cn was met with severe opposition from the Chinese government. In January this year, Google threatened to cease operations in China, if they were not allowed to provide uncensored search results. Until yesterday, Google waited in the hope of being able to sort out the issue with the Chinese government, but early on Tuesday, they announced their decision to quit the country. Google has not, however, completely walked out of the country. Instead, the company has moved search operations out of Beijing into Hong Kong, where they are currently not required to censor search results. While this solution allows Google to operate within the laws laid down by the Chinese government, the company seems to have ruffled a lot of feathers. The decision might be widely commended in the Western press, but in China the sentiment is largely negative. Google is not the market leader and their presence will not be missed by the masses. The nearly 600-strong staff of Google.cn is unsure of their future. So far, they have resisted any temptation to move to other companies. Similarly, advertisers on Google have also resisted moving to other sites. This will definitely change if the Chinese government blocks Google altogether. At present Google has retained a research and sales division, a map service and a free music portal, which is ad supported. The Chinese government has condemned Google’s move to shut operations in China and have said that Google has violated their earlier commitments to follow the rules of China, as they had promised in 2006 when they first entered the Chinese market. The government may decide to completely block all Google-related matter from the Internet in order to retaliate against the search provider. Update: TechCrunch reports that the Chinese government has reacted to Google’s cheeky exit strategy by blocking the search results pages for certain search terms that they normally would have censored. The New York Times is also reporting that Google’s ties with other Chinese companies are now being strained as the Chinese government is pressuring China Mobile and China Unicom to cancel their ageeements and plans.